From Tricker´s famous country collection, these sturdy Dainite soled brogues makes a bold impression. Storm welted and with a bellow tounge to keep you dry. The last is comfortable to use with a single sock. Marron Antique Calf leather. 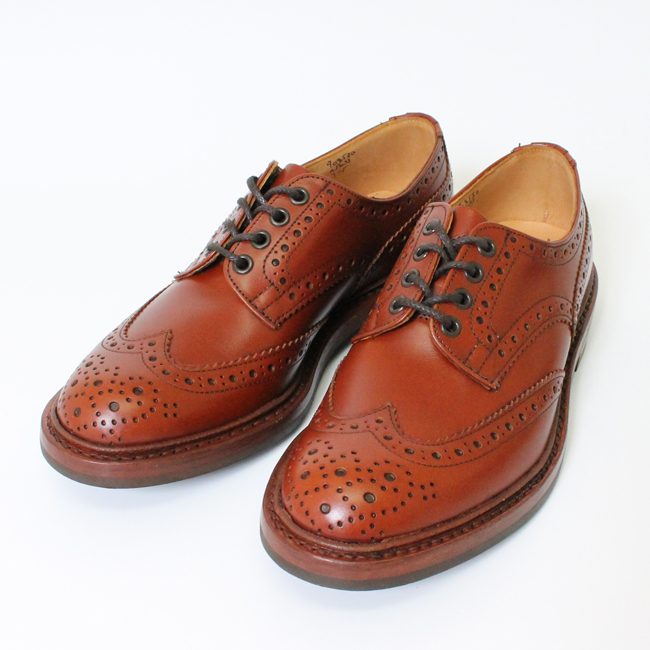 Full brogue Derby shoe. Dainite rubber sole. Goodyear welted with storm welt. Bellow tounge. Comes with dustbags and extra laces. Last 4444. Width 5. All Tricker´s are entirely made in Northampton, England, to last a lifetime. Eventually they can be resoled by Tricker´s factory service or by a skilled shoemaker. We keep size 7-11 in stock for immediate dispatch. For special order sizes expect 2-3 weeks delivery time. Best quality bench made shoes and boots for ladies and gentlemen. Purveyor to HRH the Prince of Wales. The world´s most respected country footwear brand for those seeking the true classic style.